Dragon symbolizes protection, prosperity, wisdom, infinity, and magic. • Fire Dragon helps fuel your fire of enthusiasm to overcome obstacles, and offers protection and leadership. 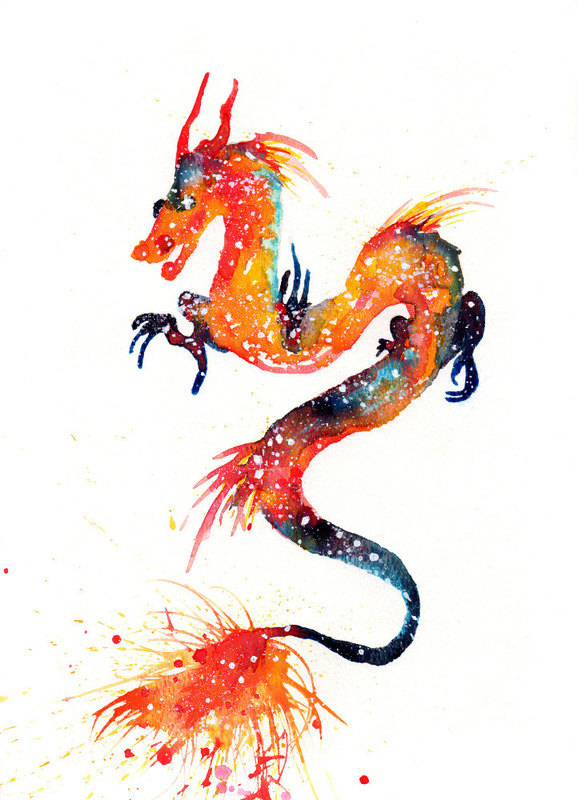 • Air Dragon brings vast amounts of intellect, illumination, and clear insights to bear on all problems, helping you to trust your inner voice. 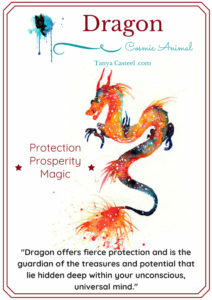 • Earth Dragon’s nurturing energy will help ground your scattered vibrations so that you can see the beauty of your own power and your ability to live abundantly. • Water Dragon brings courage and compassion to your painful past experiences, helping you to achieve emotional balance and healing. The Feathered Serpent, Snake, Lizard, and Dragonfly are also closely associated with Dragon meaning so you might want to explore those as well. I want to hear about your Dragon experiences. What stories or dreams have you had? Please share and join in the conversation below! This is a really fun dream. The fire dragon on your ring finger makes me think of passionate romance and the blue on your middle finger makes me think of using your voice to speak your truth regardless of what others think. The middle finger making a boundary for others and the blue being related to the throat chakra.